It’s Rock n Roll San Diego Race Week! Race week is finally here! This is the race I’ve been training for ever since finishing the Los Angeles Marathon. 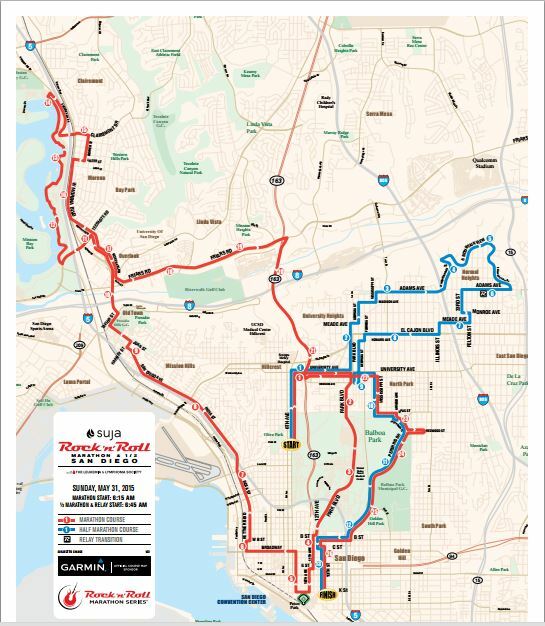 The folks that run the Rock n Roll Marathon Series do such a great job at communicating all the information you’ll need for race day! I love it! So, here are some of the details for this race. There is a nice web site that has all the information you’ll need. Click here for the Race Details & Event Information Page to see how well-organized it all is. The race weekend starts with a Health and Fitness Expo on Friday. The Expo runs from 11am through 7pm. My friend Brian (aka The Pavement Runner) has spearheaded a new running crew/group on social media. You can read more about this group here on Brian’s blog. Brian with a lot of other We Run Social runners will be running in at least one of the races. So, there will be things going on all weekend long beginning Friday. You can read about a few of the planned items, here. Make sure to follow #werunsocial on Twitter and Instagram to keep up to date if you’re going. I know that I’m planning on meeting as many of the We Run Social runners as I can. Here’s a look at the 5K course. My race weekend starts with the 5K. The race starts at 7am. From what I could make out in the information, it doesn’t look like the race will go off in corrals. There will be pacers for the race for 6, 7, 8, 9, and 10 minute per mile paces. For more information, check out the web site here. MY PLAN: I plan on starting the race with a run 30 second, walk 60 second intervals for the first mile and a half. Then, I’ll switch it up to run a minute, walk a minute for the rest of the race (if the legs permit of course). On my 3 mile training route, I would switch it up for the last mile and have been running at 31 to 32 minutes for the 3 miles. So, I’m thinking that, by making the switch earlier, I could make up a little more time. on the back half of the race. MY GOAL: Setting a new 5K PR. Currently, my 5K PR stands at 32:46. This was set back in 2012 at the Pasadena 5K. I’ll need to finish 3 miles in the 31 minute range to have a shot at the PR. Given my training, I think this is possible. Of course, I won’t know too much until I’m running on race day. At the Mile and a half mark, I’ll make the switch and see how it goes. 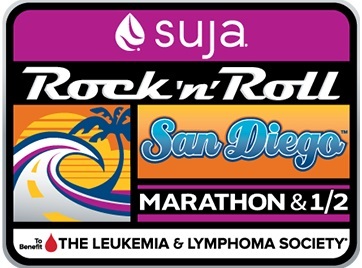 On Sunday, I’ll be running the Rock n Roll San Diego Half Marathon. All the information we will need can be found here about the race. 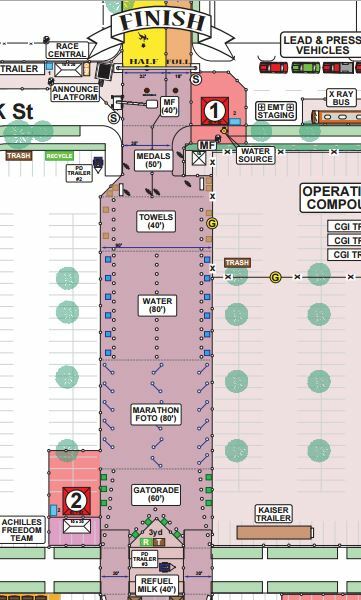 There are 26 corrals for the half and full marathons. I believe that the first corrals are for the marathon runners and the rest are for the half marathon runners. I’ll be in corral 21 for this race. 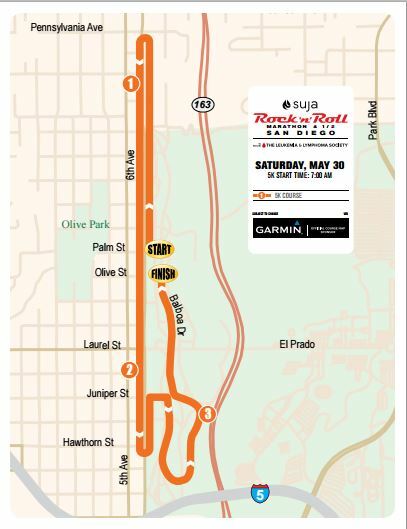 One feature I love about the Rock n Roll Marathon Series is that they have videos of the course so you can get a good visual. The video above is awesome for giving me a look at what I’ll be running by as I finish the 13.1 miles. One thing I liked about the Rock n Roll Los Angeles Half Marathon was how much food you get in the finisher’s chute. 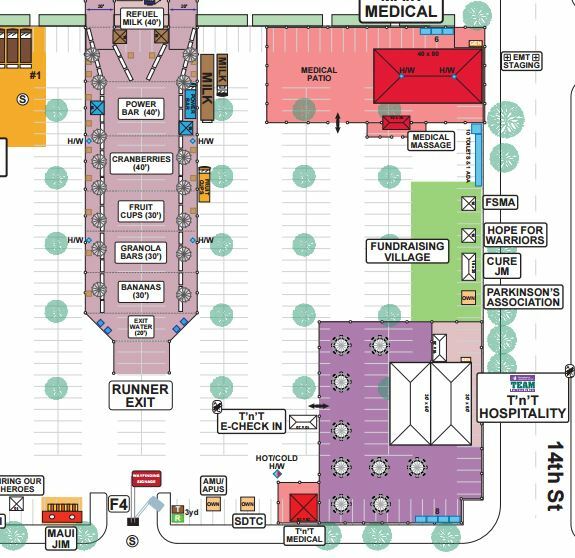 As you can see, they have it all mapped out. First you get the finishers medal. Then, water. Then, your Marathonfoto picture. Then, Gatorde. After that, it’s Chocolate Milk, Powerbar, cranberries, fruit cup, granola bars, and bananas. Seriously, they need to give us a bag to carry it all. Another thing that I like about the Rock n Roll Marathon series is that they have “finisher” shirts available after the race. They don’t have “I Did It” shirts, but “Finisher” shirts. What is cool about that is that they will not sell our before the race. Isn’t that the way it should be? You buy the “I Did It” or “Finisher” shirt after you finish the race? 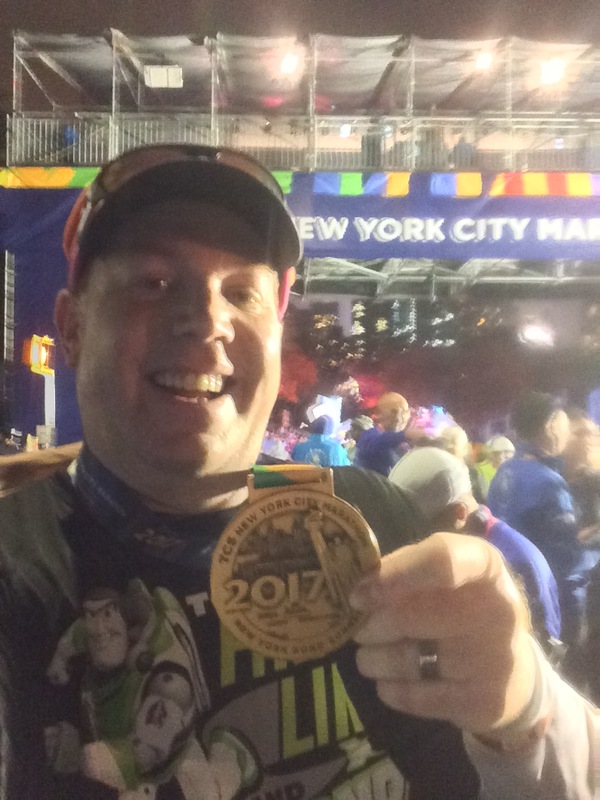 I wish runDisney would do this. MY PLAN: With the half marathon, I plan on using the run 30 seconds, walk 60 seconds for the entire race. I’ve learned on my training runs, that if the inclines get too difficult, I can switch to a run 30 seconds, walk 90 seconds for the rough stretch. Then, switch back. The course elevation tells me that the most difficult parts of the race happen in the first 6 miles. My last long run was over tougher terrain. So, I should be prepared. Ideally, I’d get to the 5 mile marker in under an hour and the 10 mile marker in around 2 hours. If I can do both of these, I will feel like a half marathon PR is within my grasp. I am not going to have any kind of pace band that tells me where I need to be at each mile. That was too stressful for me at the Surf City USA Half Marathon. So, the plan is to work hard and see where I’m at when I get to that 10 mile marker. MY GOAL: To finish the race in 2 hours, 40 minutes, or less. My current half marathon PR was set at the 2013 Rock n Roll Los Angeles Half Marathon. The time is 2 hours 43 minutes, 25 seconds. So, in reality, anything faster than that is what I’m shooting for. The weather looks good for both race days. So, I don’t think that will be an issue. While I have these goals for the races, the ultimate goal is to have fun with the weekend and enjoy being around my fellow runners of all abilities. By the way, if you’re thinking about running this race next year, you might want to head to the Expo this weekend if you can. The price this weekend will be $59 for the marathon and $50 for the half. Of course, this is an Expo only price. Good luck! Have a great race! best of luck this weekend-I think you are totally going to rock it as long as the weather doesn’t get too hot (it’s supposed to be 90 in pasadena this weekend!!) and course crowding is good. You have put in great work since the LAM! Thanks! Temps in SD are supposed to be in the low to mid 70’s as a high. So, it should be fantastic weather to run in!